Item #PM-15-10: Approx. 1.5"x1"x1.75" carved Black Obsidian cockatoo on approx. 2.75" Albite & Watermelon Tourmaline with 1" base. 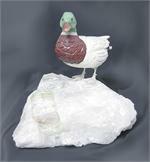 Item #11: 2"x3 5/8"x3 1/4" tall duck with Green Aventurine head, Orange Carnelian beak, Mahogany Obsidian, White and Black Jasper body; 5 1/4"x5"x1 3/4" tall Quartz with Watermelon Tourmaline crystal. Item #GS-2174: 11 1/8"x6 1/2" tall Mahogany Obsidian Bull; 9.15 lbs. 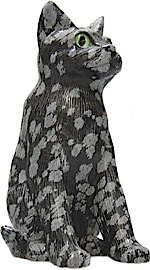 Item #GS-2160: 2.5"x3.25"x1.75" tall Rainbow Obsidian Toad. 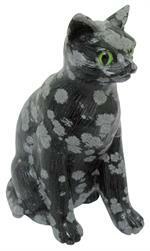 Item #GS-2161: 2.25"x3"x1.5" tall Rainbow Obsidian Toad. 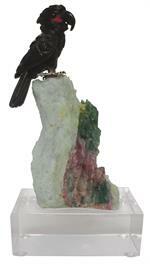 Item #GS-2103: 2.25"x2.75"x.75" tall Rainbow Obsidian Turtle. Item #GS-712: 2.25"x2.5"x.75" tall, Black with Gold and Purple sheen Rainbow Obsidian Turtle.